The law school at Lincoln Memorial University has sued the American Bar Association in Tennessee Federal Court. The law school claims that the association colluded with other law schools to lower competition by not accrediting the school purposely. The lawsuit filed by the Duncan School of Law alleges that the ABA’s refusal to accredit the school is an attempt to restrain trade, which is a direct violation of the Sherman and Clayton acts. 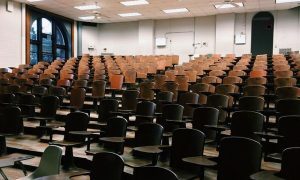 The lawsuit also alleges that the ABA acted together with other accredited law schools in an effort to boycott the law school at Lincoln Memorial University. This in turn injures competition and drives the cost of legal education higher. “In addition to being unreasonable and arbitrary, the ABA’s decision was motivated by a desire to restrain trade and limit competition among law schools,” the complaint said. The chairman of Lincoln Memorial University, O.V. ‘Pete’ DeBusk, said in a released statement that the ABA had the privilege to judge law schools in the United States by evaluating their applicable standards. He also mentioned that the ABA is the sole entity in the country doing this. “What kind of example would we be setting for our law students if we allowed them and our school to be treated unfairly and took no action to right this wrong?” DeBusk said, according to Law360. There are close to 200 students enrolled in the Duncan School of Law in Knoxville, which opened in the fall of 2009 for part-time students. The school opened to full-time students in 2010. On December 20, the ABA refused accreditation for the school, saying that the average LSAT scores for incoming students were too low for them to complete the program and gain admission to the ABA. Duncan then claimed that no less than eight other law schools in the country with lower LSAT averages were awarded accreditation by the ABA, which makes the decision by the entity unreasonable. Duncan went on to claim that there was no factual basis for the decision by the ABA to deny the school accreditation. The complaint then goes on to detail that there were two other agencies in the country that found the school in compliance with standards as tough as those set forth by the ABA. Those two other institutions include the Southern Association of Colleges and Schools Commission on Colleges and the Tennessee Board of Law Examiners. Since the school has not received accreditation from the ABA, it means that it will not be eligible for certain federal loan programs and other aid packages. For the school’s graduates to sit for bar exams in 48 states, the accreditation is needed from the ABA. “In short, [the Duncan School of Law] has been the victim of a group boycott orchestrated by defendant ABA in concert with these accredited law schools, to the detriment of [the Duncan School of Law], its students and the public at large,” the complaint said.